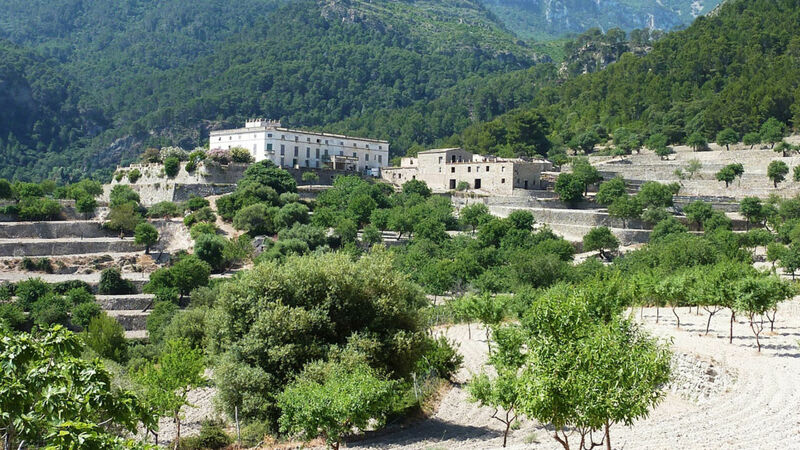 The small, traditional village of Bunyola is situated on the southern slopes of the Tramuntana mountain range. This is an unspoilt village with a rich cultural and natural heritage. The area has always been a very beneficial part of Mallorca and has some of the most beautiful Mallorcan houses on the island. Every Saturday there is a market on the village's main square with local produce, fruit and vegetables. The train "Ferrocarril de Sóller" passes through the village. Several times a day the train stops at the Bunyola station on the road to Sollér village.